Among the best-known specialist shops in the town is the Ryde Bookshop, a book enthusiast’s paradise. Situated at 135 High Street, opposite the Catholic church, the bookshop has more than 30,000 new and secondhand books on all subjects, displayed in ten rooms. Visitors will find specialist books rather than bestsellers. The range of subjects includes Island history, travel, transport, the military, literature and titles on many other themes, plus a range of postcards. Ryde Bookshop has been established 20 years and started as a hobby, but has grown into a thriving business. We have thousands of books listed online at ABE books. 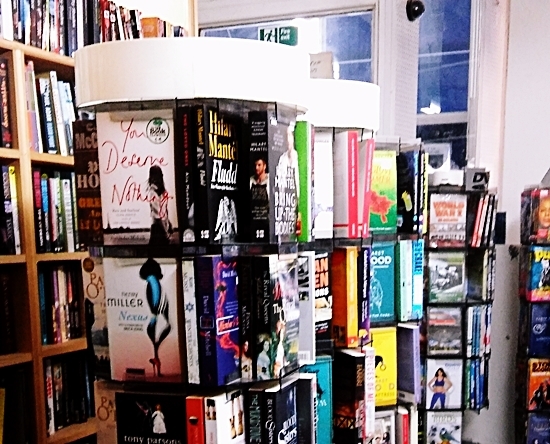 Here you can search through our stock and have the books delivered direct from our Ryde Bookshop to your premises. You can search by price, title, author, binding etc. and ordering is very easy. We have much of our of books listed online at Amazon. 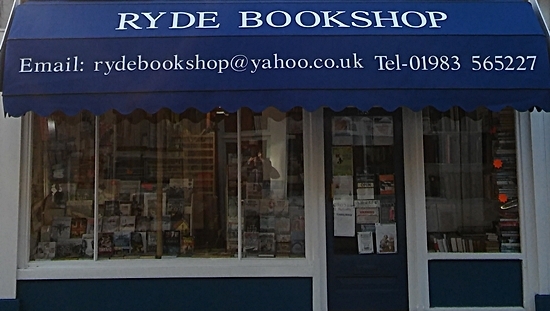 Search our stock and have the books delivered direct from our Ryde Bookshop to your premises. If you can’t find the title you are looking for, any book in print can be ordered and will arrive within a few days. In April 2014, we featured in Erica's blog 'The Bookshop Around The Corner'. Our shop was Erica's 47th bookshop visit to be featured in her entertaining blog and we hope you enjoy reading about her experience at Ryde Bookshop. Click the image or the the underlined link. Monday to Saturday: 9am to 5pm. Sundays: 10am to 4pm.